It was a sudden, unusual fever. 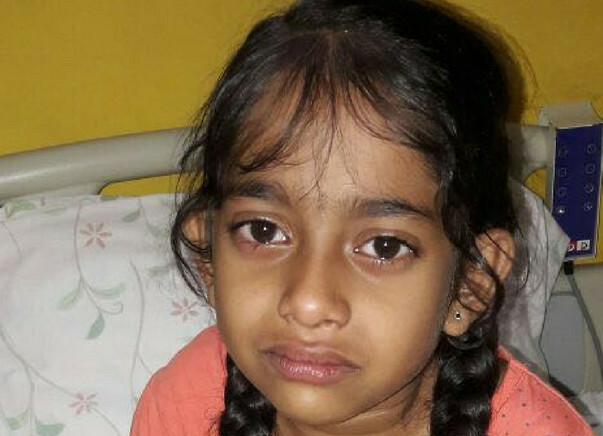 8-year-old Veditha suddenly developed a terrible fever. When the fever did not subside in 2 days, Manjula took her to a doctor. 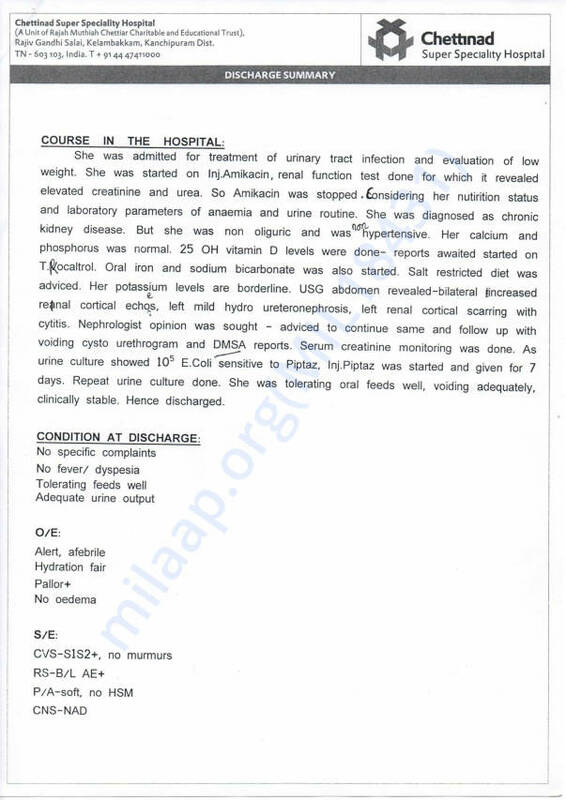 She was told it was a urinary tract infection (UTI) and given medicines. Seeing no result still, she took her daughter to the hospital. The doctors were shocked when they saw the intensity of the infection. 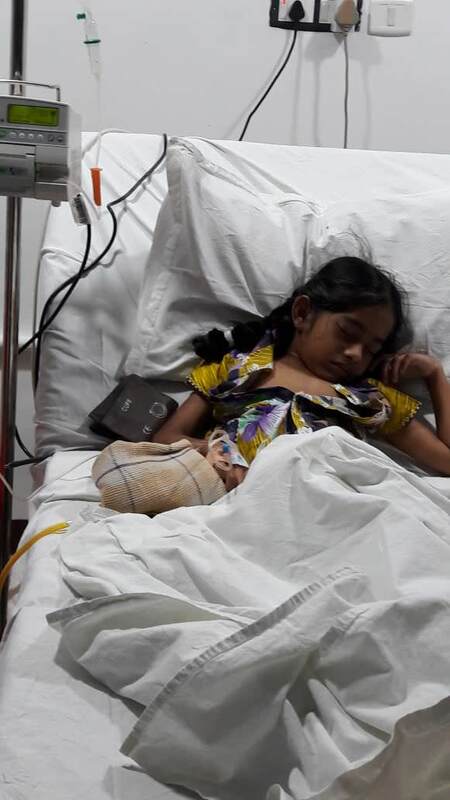 Veditha was admitted to the hospital to be kept under observation. The diagnosis shocked Manjula. 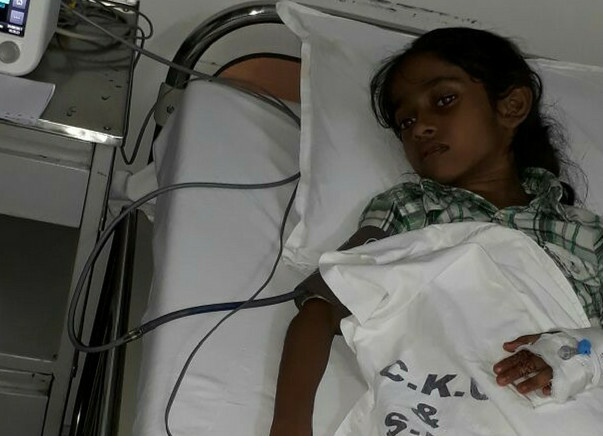 Little Veditha was diagnosed with Kidney Failure. 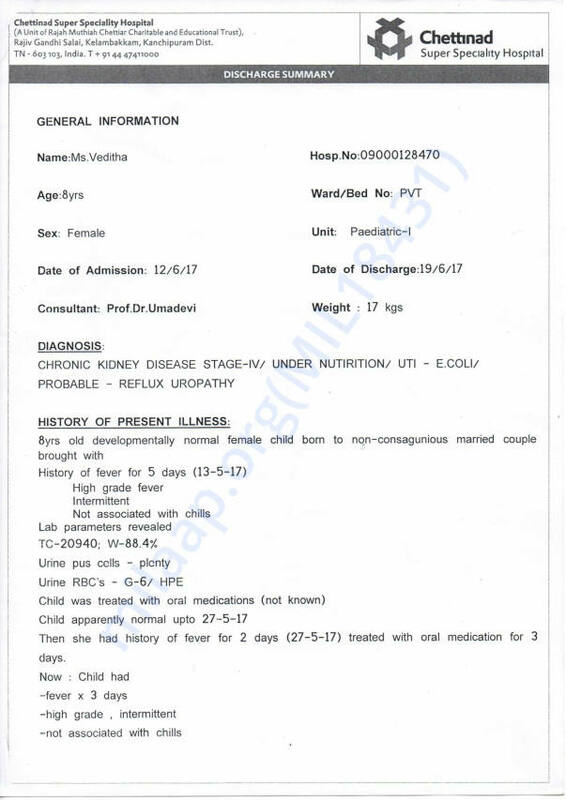 The little girl’s kidneys had failed. 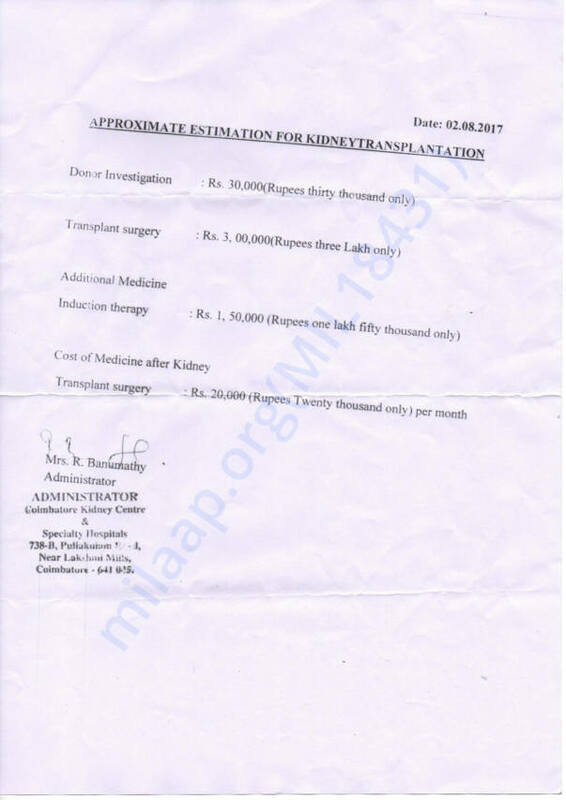 In fact, her only functioning kidney was at less than 20%. 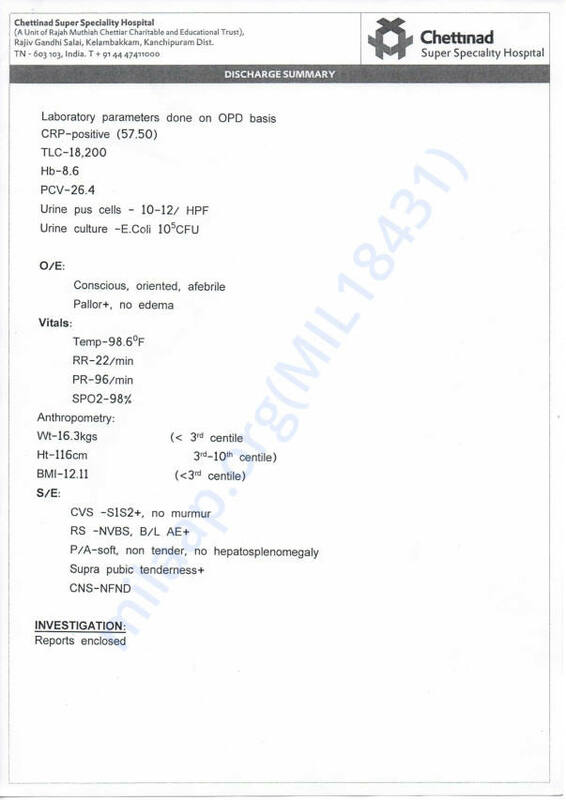 The diagnosis was the greatest shock for the family. “I would have known if there was any other symptom. I bathe and dress her everyday,” Manjula is still bewildered she had no idea her daughter had been living with a threat to her life all along. 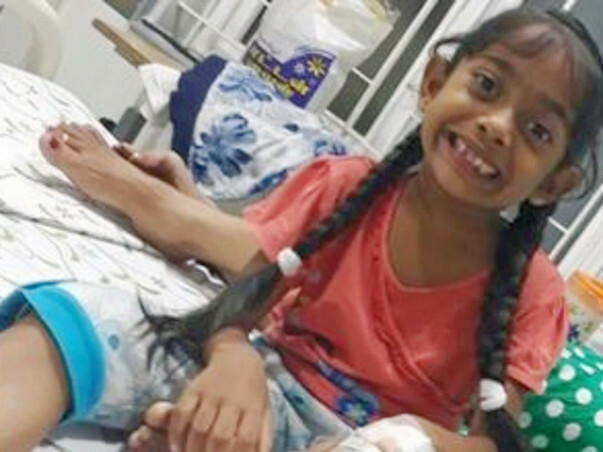 The only way Veditha could now survive was with an urgent kidney transplant. 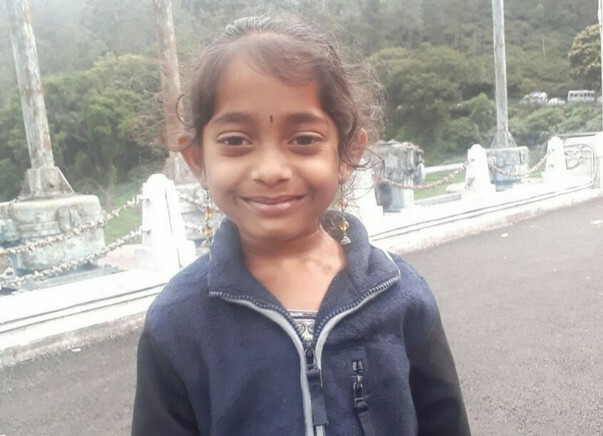 Manjula has been found to be a match, but the procedure would cost them around 6 Lakh, an amount too big for the single mother who has just started her life over. With a little support from everyone, it should not be very difficult. Manjula has already raised a little over Rs. 3 Lakh with the support of friends, family and colleagues. Little Veditha is gentle, but brave. She does not know what an operation really is, but keeps telling her mother she will be fine very soon. The mother is now struggling to collect only the final Rs. 1.8 Lakh. If she gets it on time, she can save her daughter’s life. 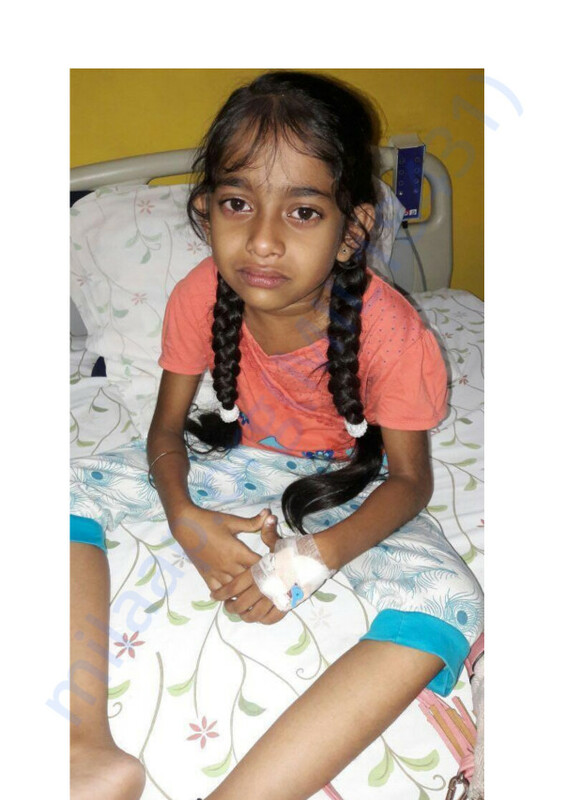 Your contribution can help this single mother save her daughter's life! Thank you for the wonderful support that you have shown towards SaiVeditha. She is doing better now compared to earlier. Her health has improved after the transplantation procedure. 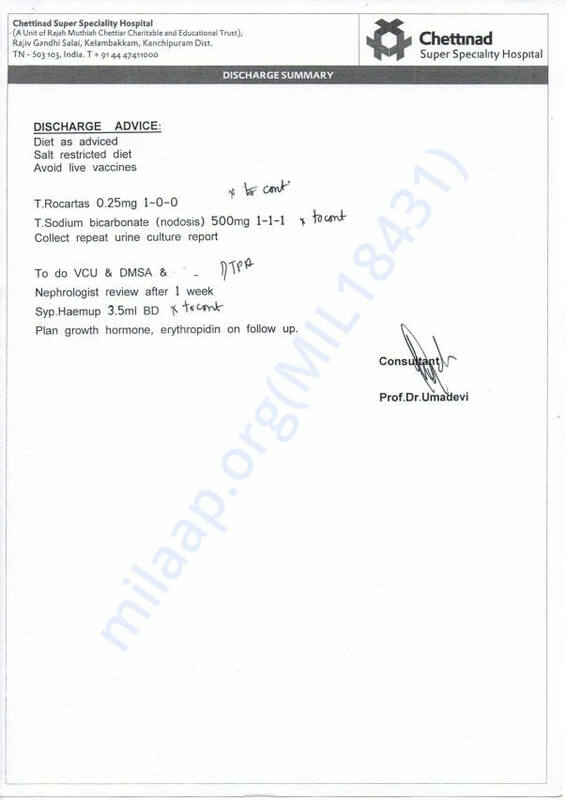 She has developed a few infections recently and is undergoing treatment for the same. 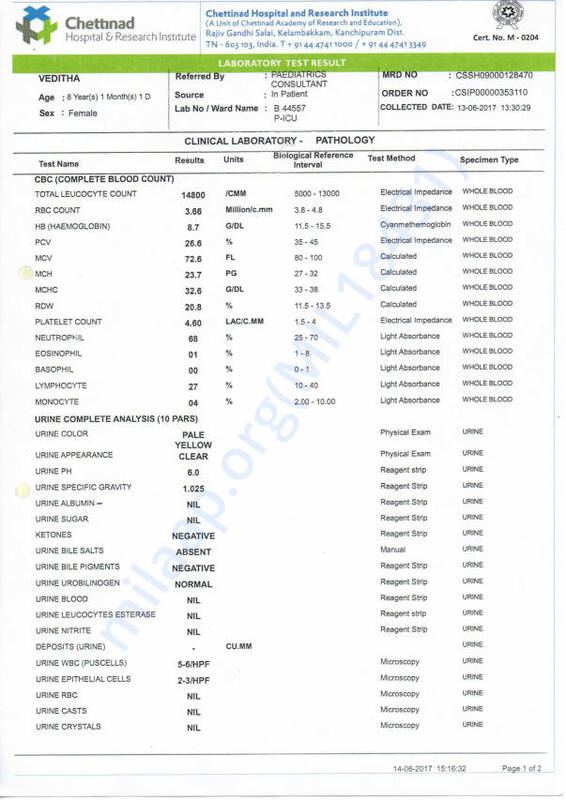 Her WBC count has also reduced and so her immunity is also a little low. The doctors are administering her medication and they suggest that she will be recovering from it soon. I would like to thank you all for your support and help once again. Please pray for her better future. Many thanks to all and the Milaap team for the immense support. I would like to thank the generous support of each individual. 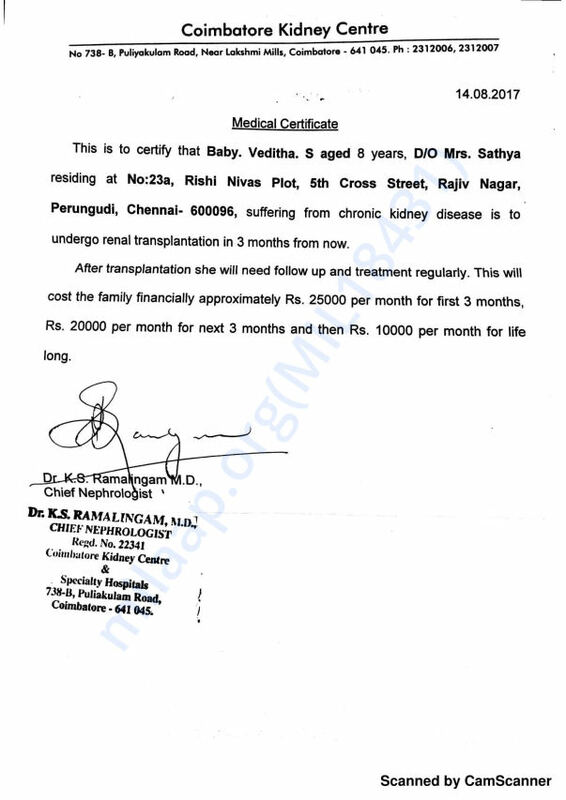 Sai Veditha Kidney Transplant was successful. She is recovering well. I would like to thank you all for your support and help once again. Please pray for her better future. 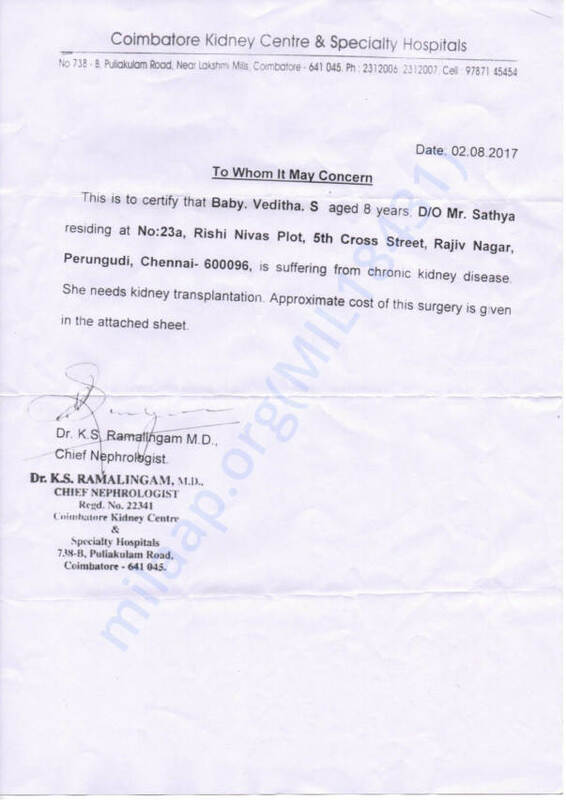 My Daughter Sai Veditha Kidney Transplant operation date scheduled on 17th December 2017. I would like to thank you all for your support and help once again. Please pray for her.